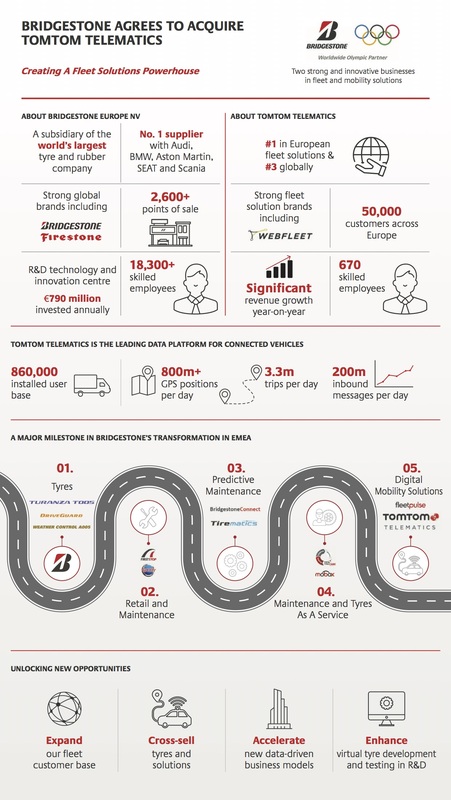 Bridgestone Europe’s transaction with TomTom Telematics, for a cash consideration of €910 million, will bring together what they say is the world’s largest tyre and rubber company with the number one provider of digital fleet solutions in Europe – creating a leading data platform for connected vehicles. 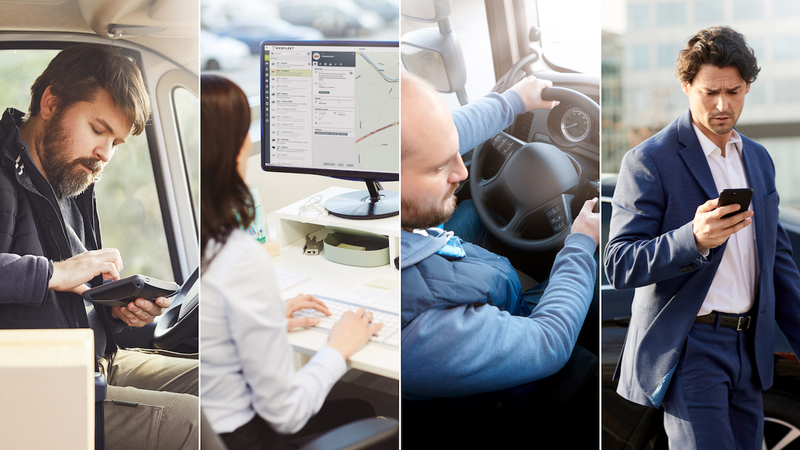 The automotive industry is rapidly heading towards a connected, autonomous, shared and electric (CASE) future. Bridgestone EMEA says that it is meeting these opportunities by rapidly transforming from a tyre producer into a mobility solutions leader. This acquisition underlines this statement. Over the last few years, Bridgestone has invested heavily in capabilities in data collection from sensors, data platforms and analytics, while also pioneering a range of digital solutions and applications. Bridgestone says that benefits of the acquisition include the ability to cross-sell tyres and solutions and well-positions Bridgestone EMEA to accelerate its data-driven business, expand its fleet customer base and seize fast growing, profitable opportunities in the automotive mobility industry.